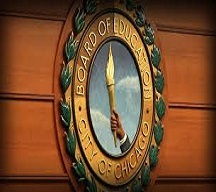 In compliance with Illinois state law, the Chicago Board of Education has unanimously decided to make daily Physical Education classes mandatory for public schools. Schools will be required to offer 30 minutes of physical education per day, or 150 minutes per week, up from often only one lesson per week. Chicago schools are expected to implement this change over the next three years. This new policy should serve as a great step towards fighting Chicago’s 40 percent student obesity rate and lead to healthier lifestyles and increased life chances.